Roth and IPG made a $2 billion bet on data and analytics with the acquisition of Acxiom, the latest move by the company to make it indispensable to clients in the burgeoning era of personalized marketing. Roth calls the deal “transformative,” but he’s been transforming the company on numerous fronts since his arrival 13 years ago. 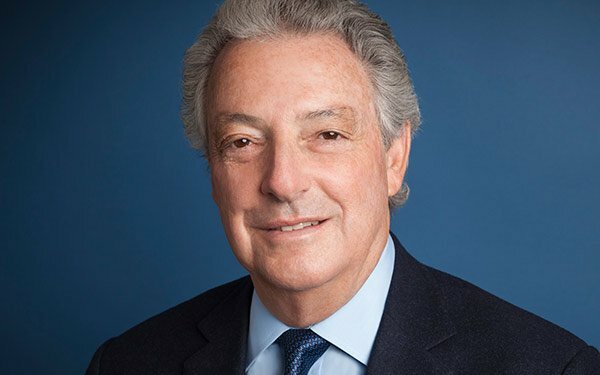 A little over two months ago, Interpublic Group acquired first-party data aggregator Acxiom for the princely sum of $2 billion. It’s the largest deal the company has made in the 13 years it has been helmed by CEO Michael Roth, MediaPost’s 2018 Executive of the Year. That $2 billion bet on data and analytics in a bid to reach consumers more effectively, thus providing clients better returns on their marketing and ad dollars, is just one reason Roth earned the award. He has also been a leader on the diversity front, urging the industry to expand its ranks. To ensure it, he took key steps at IPG, such as tying incentive compensation for executives to diversity goals. And he has shepherded a general turnaround at the company, improving its offerings, talent and finances. IPG is now ranked “investment grade” by the major rating firms. Year-in and year-out for the last decade, it has led in total shareholder return among its competitive set, according to Bloomberg. Roth calls the Acxiom deal “transformative” for the company. It’s also one IPG had on its list of potential acquisition targets for a number of years, given the growing importance of first-party data in the age of personalized marketing. “It’s a core competency today,” he says of the approach, and one that will continue to grow in importance in the future. The acquisition will be accretive in year one, Roth says. Its value will grow over time as the company invests additional resources to fully integrate Acxiom across IPGs operations, a process that will be completed in 2020. The Acxiom deal did not include LiveRamp, the analytics platform used by many marketers and agencies to help glean insights and form data-driven strategies. That’s now a separate company. Roth says IPG didn’t want LiveRamp as part of the deal, given that many competing agencies and holding companies use the service. Many of those companies would be uncomfortable with a LiveRamp owned by IPG, and the platform’s revenues would decrease sharply if the holding company were to own it. Also, IPG has the ability to replicate LiveRamp services via its own Audience Measurement Platform (AMP) and with the additional resources being invested, to fully integrate Acxiom into IPG, Roth says. Regarding diversity, Roth says it has been a corporate priority throughout his career. Most companies consider it a core value. The problem in Adland and other industries, he says, has been the execution of diversity plans. When Roth arrived at IPG, most of the leadership team was white and male, but the consumer base had been growing increasingly diverse. Effectively communicating marketing messages requires different views and perspectives that can be best achieved by employees that have diverse backgrounds and experiences, he says. The company has made significant strides since Roth joined the company in 2005. Women now make up 55% of the company’s U.S. “officials and managers” — including executives, senior and mid-level management — up 17% since 2005. Minorities make up 21% of U.S. officials and managers, an increase of 117% since 2005. Nearly one-third of the IPG board of directors is female. Still, “we and the industry have a long way to go” before being adequately diverse in terms of workforce make-up. Roth says it is an honor to be recognized, but wishes the award went to the holding company. He helped devise strategy and approved it (along with the board), but it was people throughout the firm that got the job done, he adds. “I still have some things I want to accomplish,” says the 72-year-old Roth when asked about succession. Near the top of his list is guiding Acxiom’s full integration into the company. That said, there’s also a succession plan in place if Roth were to unexpectedly leave the company. That plan is the product of regular discussions he has with the board. And there is a succession plan in place for a number of other senior leaders at the company, as well. And while he expresses high confidence in the executives identified as potential successors, barring unforeseen circumstances, we can expect to see Roth in the CEO seat for a few more years.